Van Holde introduces Francis Crick by touching upon the scientist's pathbreaking accomplishments in molecular biology, including the Watson-Crick determination of the double-helical structure of DNA and Crick's important later research on the properties of RNA. Van Holde also mentions Crick's more recent research on the nature of consciousness, including his interest in the possibility of a molecular basis for cognitive processes. Crick begins his talk by recounting his personal experiences of first learning about and then meeting Linus Pauling. Crick then expounds upon the profound importance of Pauling's legacy as it relates to the study of molecular biology. In so doing, Crick discusses Pauling's research on the molecular structure of proteins including his discovery of the alpha-helix, his studies on protein denaturation and his participation in "the race" for the structure of DNA. He likewise touches upon Pauling's interest in the nature of antibodies and antigens, his conceptualization of sickle cell anemia as a molecular disease and his development, with Emile Zuckerkandl, of "the molecular clock." Having detailed this impressive body of work, Crick concludes that Pauling was, indeed, "one of the founders of molecular biology." Horne introduces Session II of the conference by describing the history of Linus Pauling's relationship with Oregon State University and acknowledging those responsible for organizing a conference in Pauling's honor. Horne also shares a few stories of his own personal encounters with Pauling, including a memorable trip to Iran during which Pauling urged the Shah to eliminate sugar from his diet. Hager discusses the processes that he utilized, and the pitfalls that he encountered, in writing his biography of Linus Pauling. He notes that, in attempting to develop a biography of a hugely-important figure, one must be cognizant of the disparities that inevitably arise between "fond memory and fact," and be aware of the gradual development of public personas that differ markedly from private habits and attitudes. 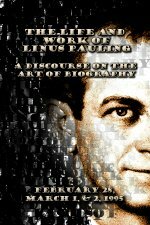 In the case of Pauling, the biographer also faces a problem of information overload, due to the huge amount of primary-source material saved by Pauling over the course of his long life. In attempting to develop a clear portrait of Pauling, Hager stresses the importance of what he came to term "stochastic biography," a method of inquiry initially developed by Pauling himself, wherein the investigator attempts "to divine truth by conjecture." Goertzel discusses the evolution of the Pauling biography that he co-authored with his parents over the course of three decades. The Goertzels' project relied in part on an analysis of Pauling's responses to a Rorschach test, which the authors then used to develop their thoughts on Pauling's personality. Goertzel presents the Pauling Rorschach data and the subsequent analysis that was derived, noting both the advantages and the potential flaws of this method of biographical inquiry. Paradowski utilizes examples from both film and literature to discuss his ideas on "the problems and the potential" for authors of scientific biography. In examining Orson Welles' "Citizen Kane," Paradowski details the dangers inherent to a biographer's quest for their subject's "secret self." Likewise, Paradowski uses Akira Kurosawa's "Rashomon" to illustrate the difficulties that can be presented by differing accounts of the same events. Paradowski suggests that the modern approach to the writing of biography has typically "oscillat[ed] between the extremes of hagiography and pathography," and that a tension between the notions of "biography as art" and "biography as science" remains a core issue within the community of biographers. Paradowski concludes by discussing the specific importance of all of his talk's themes to the particular subgenre of scientific biography. In commenting on the presentations made in Session II, Kay reflects upon her own experience of writing about Linus Pauling and certain other of molecular biology's more notable figures. Kay discusses aspects of her writing which did not necessarily cast Pauling in a favorable light, and then puzzles over Pauling's generally warm response to what she had published. From this experience, Kay finds herself in sympathy with Hager and Paradowski, who both wrestled with problems of arriving at a single "truth" derived from contradictory sources and a paper record that is often difficult to navigate. Davenport responds directly to the talks delivered by Paradowski, Hager and Goertzel. In so doing, he finds common ground with Hager's concept of "stochastic biography," though disagrees with the broadness of certain conclusions that Hager has made about Pauling's life and work. Likewise, Davenport agrees with the central tenants of Paradowski's thesis, though questions the grandeur of his approach. Goertzel's methods, however, he finds less agreeable, noting that "psycho-biographies, of scientists at least, are by nature imprecise and frequently are impertinent in both senses of the word." Pauling introduces Session III of the conference by recounting a number of illuminating stories from his childhood and adolescence. Pauling focuses in particular on his father's ill-fated research on the structure of DNA, mentioning that one possible contributing factor to the errors in the Pauling-Corey DNA model was Linus Pauling's disinclination toward socializing with Erwin Chargaff. Meselson reflects upon Linus Pauling's abilities as an educator by recounting a series of events from his own experience as both an undergraduate and a graduate student at Caltech. Meselson comments on Pauling's showmanship in lecture and effectiveness as both mentor and administrator. 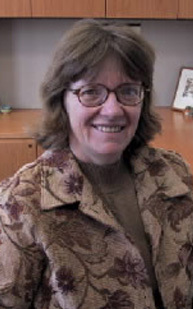 Meselson concludes that the methods that Pauling utilized as an educator were similar to those that he employed as a scientist and as a political activist, and that studying Pauling's approach to educating may yield further insight into his larger body of work. Hedberg, a former graduate student of Linus Pauling's, shares a number of stories mined from their multi-decade association, many of them humorous portrayals that provide a more informal portrait of Pauling's daily interactions with his peers. Hedberg touches upon the extraordinary culture of creativity that existed during his time at Caltech and also speaks to certain characteristics of Pauling's personality, including his decisiveness, wit and self-confidence. Hedberg concludes by describing the details of several trips that Pauling made to Oregon State University in the latter decades of his life. Lipscomb provides a technical overview of many of Linus Pauling's important scientific contributions. In so doing, he covers both the historical and scientific details of a number of milestone achievements concerning complex ionic crystals, electroneutrality, covalency, hemoglobin, the structure of proteins and complementarity. A graduate student of Pauling's, Lipscomb also shares a collection of stories related to their acquaintance and offers a few thoughts on the course that Pauling's career may have taken had he stayed at Caltech following his receipt of the Nobel Peace Prize in 1963. Shoemaker recounts his memories of working as a graduate student under Linus Pauling and in collaboration with Ken Hedberg and William Lipscomb. Notably, Shoemaker shares a story of visiting the Paulings in England in 1948 and witnessing work that would ultimately result in the determination of the alpha-helix structure of proteins. Shoemaker also discusses Pauling's numerous contributions to the discipline of crystallography, including his later work on quasicrystals. Catchpool shares his memories of Linus Pauling, beginning with a number of stories dating back to their first encounters at the Albert Schweitzer medical compound in west central Africa. Catchpool then discusses his time at Caltech researching anesthesia and observing the development of Pauling and Emile Zuckerkandl's theory of the molecular clock. Catchpool concludes his talk with a few remarks on Pauling's legacy as a peace activist. Schweber conveys the details of his evolution as a biographer before discussing his experiences chronicling the life of Nobel laureate physicist Hans Bethe. After providing a capsule summary of Bethe's experiences and personality, Schweber enumerates a few of the challenges that he encountered in attempting to compose a history of the scientist's life. One such challenge was the need to navigate through an overwhelming trove of archival material related to Bethe and his contemporaries. Schweber concludes with a detailed comparison of Bethe's life with that of fellow physicist George Gamow. Holmes devotes the bulk of his presentation to a discussion of the complexities faced by biographers who are writing about subjects that are still alive. Using examples from his research on Hans Krebs and the Meselson-Stahl experiment, Holmes concludes that interview data acquired, in person, from the biographer's subject, often "provide more drama than understanding." That said, Holmes is keen to point out that archival documents "are not transparent witnesses to historical truth, and memories, even when incorrect in details, still provide irreplaceable clues about the subjective experience of the original event." Goodstein recounts the numerous obstacles that she faced in researching and writing the history of Caltech, a process which spanned the better part of a decade. Questions as to when to begin and end the institutional history were difficult ones with which to wrestle, particularly as Goodstein had been a member of the Caltech staff for over twenty years by the time of the book's publication. Narrowing the biographical scope of a potentially-sprawling topic and addressing contentions of anti-Semitism also posed momentous challenges to the author. Goodstein closes by sharing a number of intriguing anecdotes from Caltech's colorful past, including several related to her book's title character Robert Millikan, about whom Goodstein notes: "Stories about Caltech's 'chief' are legion; about half of them are true." Rider discusses the task of biography writing from the vantage point of archives and archivists. In reflecting upon the papers delivered by Schweber, Holmes and Goodstein, and noting the details of Stanford University's purchase of the Alan Ginsberg Papers, Rider emphasizes the importance of personal papers in the building of archival collections. Rider likewise notes the emerging possibilities and pitfalls awaiting large-scale archival digitization programs, such as that proposed for the Ava Helen and Linus Pauling Papers. Heilbron speaks to issues of trust and continence in the writing of biographies of contemporary scientists. 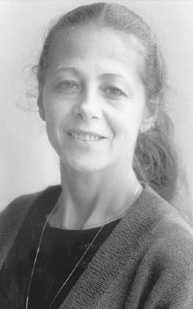 In reviewing the presentations of Schweber, Holmes and Goodstein, Heilbron suggests that trust between author and subject is necessary to the biographical enterprise, and that there is more reason than not to believe that an honest portrayal of one's subject will arise out of a trusting relationship. Heilbron also emphasizes the importance of self-restraint on the part of biographers -- the idea that, rather than straining to capture a subject's life in full, it is wiser to maintain a narrower focus, in part to create a more useful product for the reading public.